Google has always had a strong interest in helping small local businesses to make a qualitative leap in the market , especially in recent years. In fact, although before there were numerous tools and opportunities for owners of small businesses to promote their business through this search engine, often the process was not easy to manage. As mentioned, there were many choices: Google+, Maps, Google Places my Business ; in short, a variety of profiles that the employees of the various companies had to take care of to attract new customers. To solve the problem, in 2014, the search engine put these applications together in a single tool, calling it Google My Business; from that moment it was much easier to manage the profile of a company and provide all the information that users need. 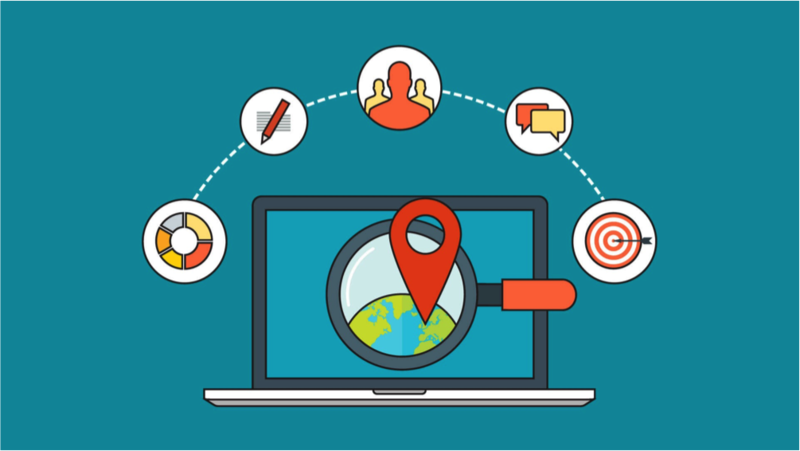 The added value is that the service geolocates the search , so the user who will get certain results from the keywords entered , may be just what will become a future customer. When you enter the service home page, the first thing that the search engine emphasizes is the free use of it . This is the feature that allows all companies to use them , the only criterion is the knowledge of the service itself; this is why it is useful to discover it together. GMB is basically a platform that allows you to enter all the strategic information of your companysuch as: photos, maps, contact information, opening hours and user feedback . The latter are grouped by the search engine into a single taband they are immediately visible to those who do certain types of research. Google is able to understand the purpose of a search: if you look for the word "construction company" the results will be geolocated much more than if they insert keyword as "book". From this point of view we can understand the importance of enrolling in the service. In this way the presence of your online brand will be much stronger and people will be able to find you better, thanks to the essential information for those looking for reality just like yours. One of the criteria always pursued by Google is the intuitiveness of the services it offers ; this also applies to the platform we are talking about in this article. Registration is very simple , just follow the instructions and you're done. However, we must not commit gross errors, so we try to explain in detail the information to be put and how to put it in the best possible way. Obviously, to stand out from the competition it is not enough to do the bare minimum, but always put your own personal touch and support what users like and Google itself. Let's see what it is useful to focus on to get the most out of GMB. The description counts: after making sure you have entered all (but all) information about your business, so that people can get an accurate idea of who you are and what you do, focus on the description. Your GMB card is like a powerful virtual business card but it does not work if it does not attract users : there are many businesses using this platform, even if in your area the competition may be less. In any case the description must be clear, exhaustive and catchy , to be really effective. In this sense it is always better that the text is optimized in terms of SEO : the right keywords, the appropriate layout and links to your website I'm an extra gear. The reviews of users should be managed carefully and we must try to avoid not only the negative ones, but also the false ones. Getting verified reviews is important for many reasons: increasing brand credibility , being better indexed and, thanks to Google My Business capabilities, being able to see the stars and average user ratings on the search network. Often having a good average rating can mean everything. Studies have shown that 97% of users read online reviews on local businesses and 90% of these are influenced by both positive and negative opinions for their purchase decision. Like all truly efficient online activities, one of the things you should never forget is data analysis . This activity can take time but must always be the basis of the online presence of any company. 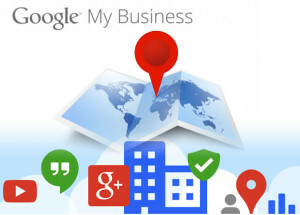 On Google My Business it is very easy to access insights and statistics about your local marketing strategy . It is important to be able to constantly manage and optimize your online presence and GMB provides the tools to do so. One of the fundamental possibilities is to monitor the way in which users have come to visit your page; the possibilities are two: did they do it directly or did they arrive after looking for a specific product or service? The answer to this question is interesting because it can make us understand if our branding strategy is working (in the first case) or if we have to implement our web marketing . Another statistic to watch carefully is that concerning the behavior of people in looking for our business: how important is the Google card? How much do the maps affect? The possibilities are many and a constant study of these data allows you to adjust the aim and overcome the difficulties that can be encountered on the web. The overview that we wanted to give in this article focuses on the potential of an interesting platform for each type of company , especially those operating locally . Knowing the mechanisms and the dynamics that regulate such an effective instrument seems to us very important and for this reason we have written thinking of all of you, entrepreneurs and building professionals that you are entering or want to maintain an online leadership position . Copyright Ron Mills 9543944980. Simple theme. Powered by Blogger.